Alfaro Abogados is an Argentine full service law firm with a network of correspondents in almost all South American countries. Alfaro Abogados is committed to providing multinational corporations with solid and expedient business and legal advice in every facet of their investments or transactions in the South American region through a network of correspondent law firms. We offer our clients the unique opportunity of engaging our services in the initial stages of implementing their business plan and therefore avoiding the pitfalls of an ill-advised strategy. Multinational corporations face special challenges with respect to the laws governing their transactions in South America. Overlapping legislation, diverse federal and state regulations, different terminology and other matters make legal issues an important factor in every business planning. We help clients to better evaluate their business opportunities, monitor developments with greater efficiency at a lower cost, as well as to identify conflicts or opportunities as they arise. Alfaro-Abogados therefore could provide a unique service: a centralized and single source advising, planning and reporting on legal and political issues that could affect current or potential transactions in South America. Trade and Investment regional integration agreements between South American countries and the United States or the European Union are a reality. 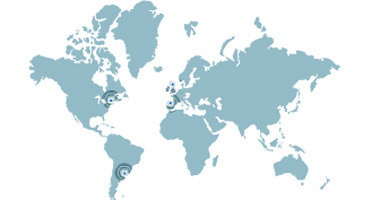 An investor in any of the southern cone countries should now carefully analyze its prospective competitors in the region for potential entries and existing strategic alliances that could affect their investments. The comprehensive advice that Alfaro-Abogados could provide in these cases is therefore of the essence for the success of the venture, investment or transaction.